Conveying warm and special feelings of sympathy and remembrance, this exceptional arrangement contains red roses, burgundy snapdragons, red carnations and red hypericum in a dark willow fireside basket. 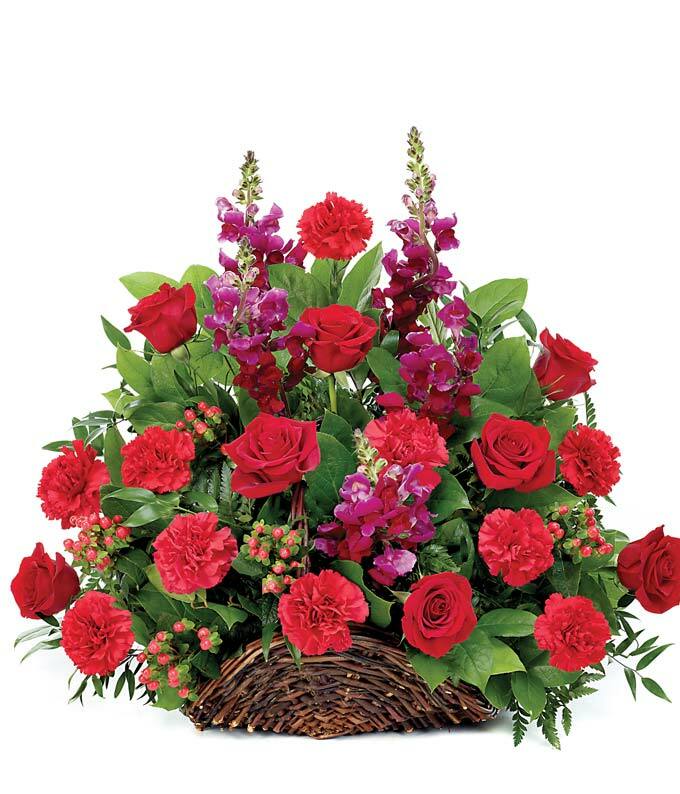 This red rose and red carnation funeral floral basket can be placed in the front of a funeral service. Measures 24"L by 24"L.